The briefing that was held yesterday. The western region. Right where that little red and white box that says 3RD ACR is. That is where he will be. "The 3rd Armored Cavalry Regiment will be replaced by a Stryker Brigade. 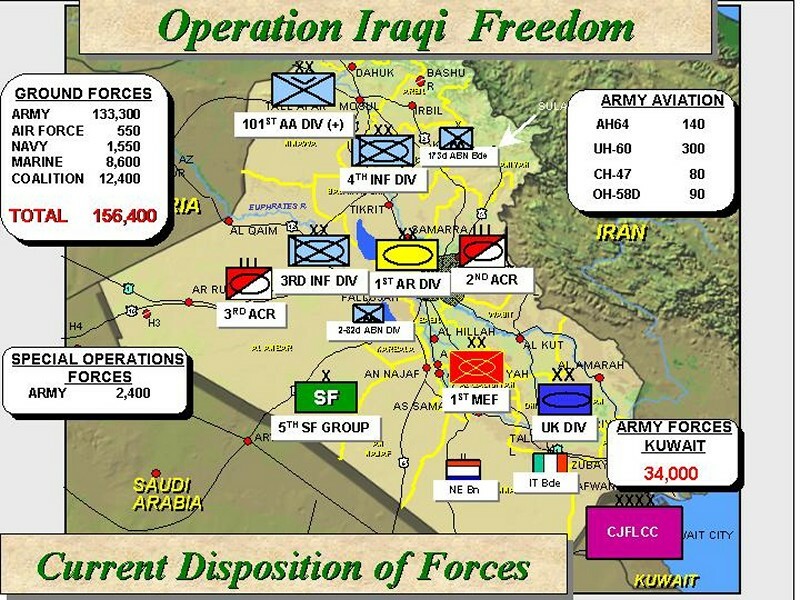 That is a new operational organization in the Army, as many of you are familiar with. It's at Fort Lewis, Washington, and has been going through testing and evaluation. It's been doing very well in all of that. 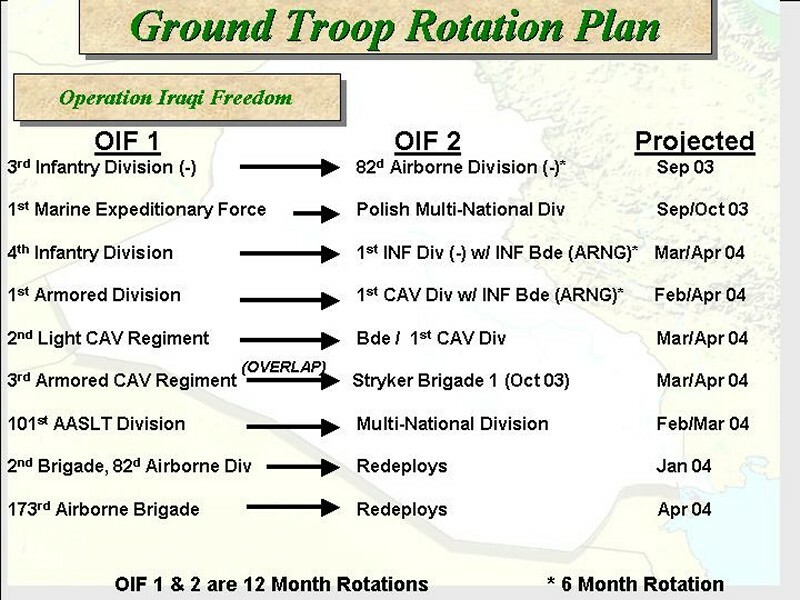 And that organization will actually overlap and complement the 3rd Armored Cavalry Regiment. It will be there in October; however, the 3rd Armored Cavalry Regiment will not leave until this time frame." 12 months. He'll be gone a year. For about the first six months they will be working with the 3rd ACR that is there. Western region...and I wish I could find the link to what I read yesterday (and I can't, because I can't freaking remember where I read it) about the west. About where that is where a large number of the population is still quite anti-america/pro-anyone else. Here...just go read this. Click on the links and try to figure out what it is like for many of the soldiers over there. I told my boss last night about my looking for a new job. I explained why I was looking and that I'll hopefully find one as soon as possible. I made it quite clear that I would work for two weeks after I gave official notice, but that I was telling them so that they could start looking for someone new to replace me. I want...no, I NEED to find something during the day soon. I hardly see John during the week. My weekends with him are now limited, slowly ticking down until there will be none left. I refuse to have it that way. I refuse to see him just two days out of seven. I have to do anything and everything in my power to change that, to be home each evening.